Realistic Paintings : Simon Hennessey's paintings may be viewed as a photographic representation of reality, but in truth his artwork transcends into it's own abstraction of reality. he does not adhere to a true mimetic depiction of a photograph, he uses the camera only as a source to assist me with gathering information. 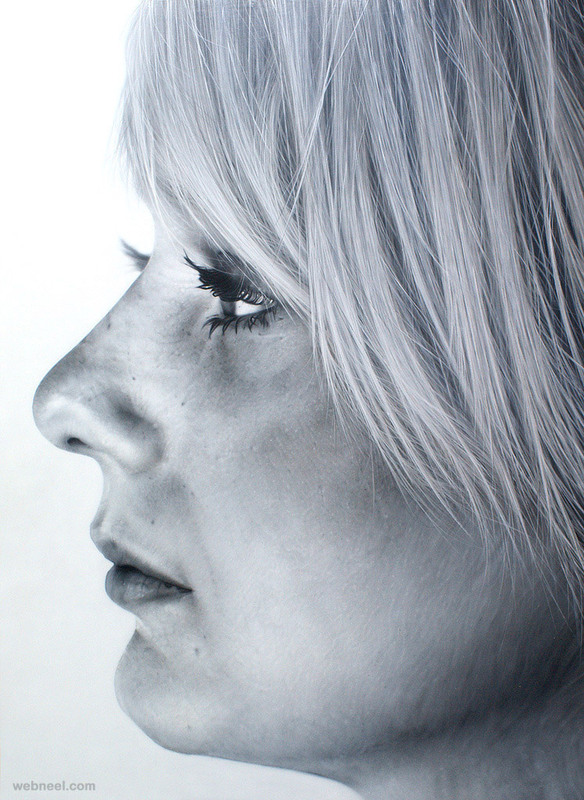 Hennessey's striking paintings reproduce images of facial features in extreme close up.